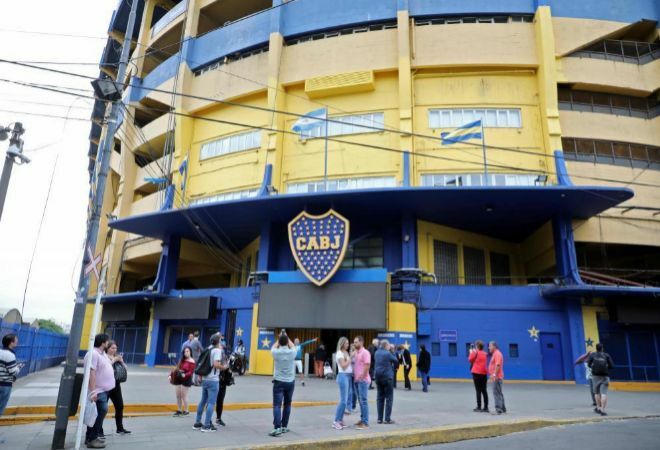 A bomb threat forced the dismantling of Alberto J. Armando del Boca Juniors stadium, known as 'La Bombonera', on Tuesday, a few hours before his players travel to Madrid to play the Copa Libertadores final against River Plate next Sunday. . The employees had to be evacuated after being informed by the security personnel that there was a bomb threat. From the Ministry of Security of the city of Buenos Aires, which depends on the capital police, added that the explosives division is inspecting the stadium after receiving the threat through a phone call. The staff of the Boca trained on Monday morning behind closed doors in the Pedro Pompilio complex, located a few meters from La Bombonera, and tonight, after being fired by the fans, will undertake his way to Madrid to play the Cup final Liberators.